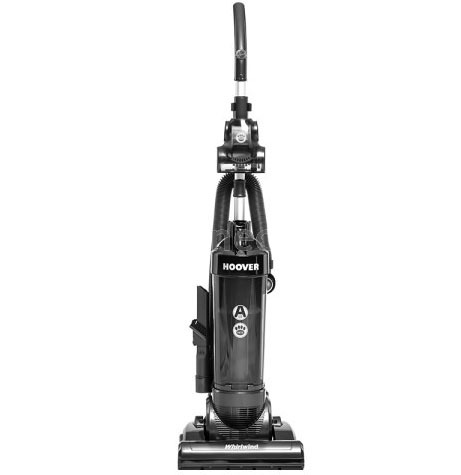 This Hoover Whirlwind Vacuum Cleaner is a lightweight bagless upright vacuum, designed to help you keep on top of the housework. 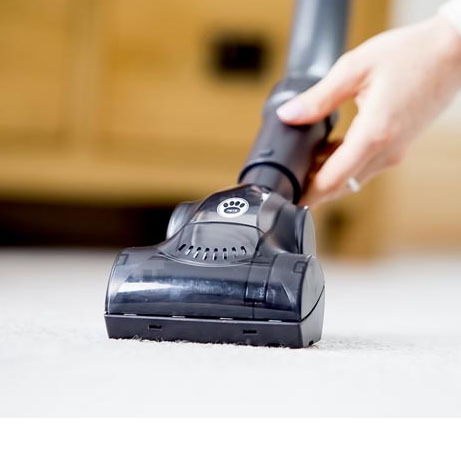 There are no complicated settings to adjust: simply switch on and start vacuuming. Whirlwind is suitable for hard floors and carpets, with a rotating brush bar for thorough cleaning. Above floor cleaning is simple, with a 2.5 metre stretch hose and 2-in-1 tool stored on board. 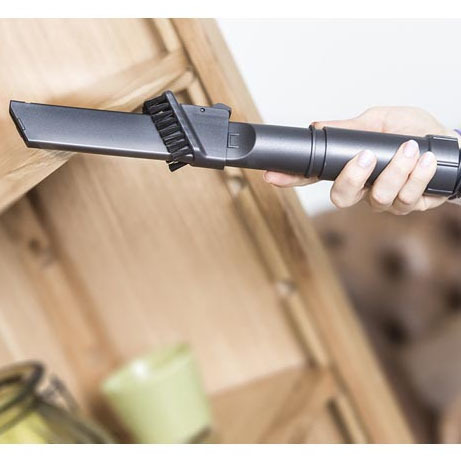 The 2-in-1 tool combines a small dusting brush with a crevice nozzle, which is ideal for getting into tight spots, or for your skirting boards. Efficient money saving motors help it to achieve an ‘A’ energy rating, whilst the dust pickup is ‘C’ rated. A great choice for flats or smaller houses, Whirlwind has a 5 metre cord and is compact in size. This means you can store it neatly in a small space such as a kitchen cupboard. It weighs under 4kg in use, making it easy to carry upstairs and around your home. Whirlwind has a good-sized dust capacity of 2.5 litres. Once full, it can be emptied easily and hygienically with the press of a single button. We recommend you clean the filters regularly to ensure the suction remains strong: to do this simply unscrew the lid, rinse the filters and leave to dry for 24 hours before reassembling. 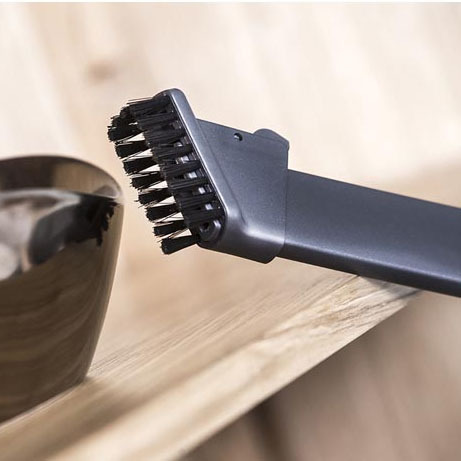 This model comes with an additional accessory: the mini turbo brush. This is a handy tool with rotating bristles to help loosen embedded cat or dog hairs from your carpets and upholstery. Please note, before using Whirlwind for the first time, you will need to attach the handle, using a screwdriver.